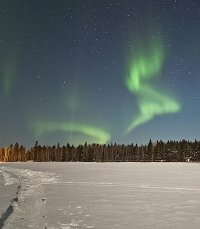 Summary: he deepest solar minimum in nearly 100 years has not put a stop to Northern Lights around the Arctic Circle. 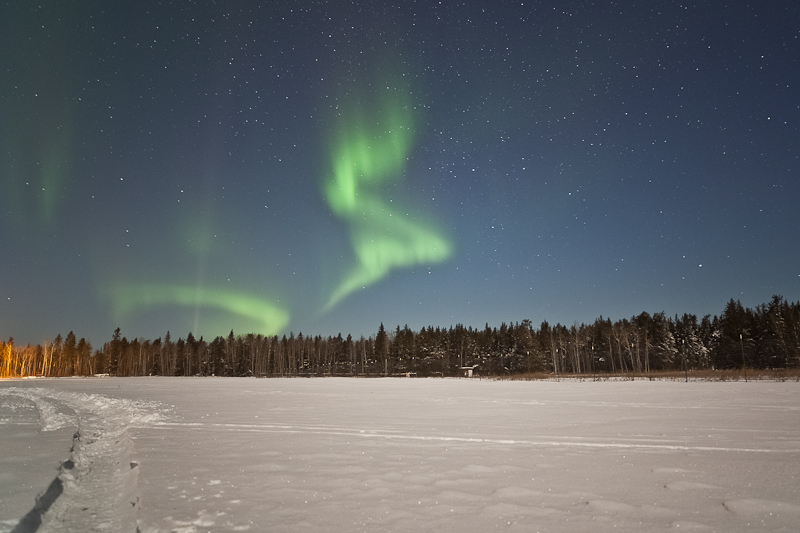 Solar wind streams hitting Earth's magnetic field have triggered several beautiful displays this month--including one doozy during the Geminid meteor shower. See also Nov. 2009. 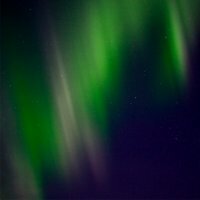 It has been so quiet for aurora this past little while, that is true. I found the reason to be explained in my blog (check the web link for more information). 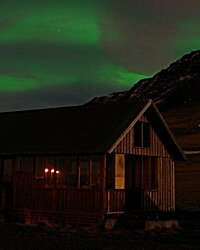 I believe the phenomena of the aurora to be more of a spiritual experience than a scientific one I still enjoy the science; they complement each other. 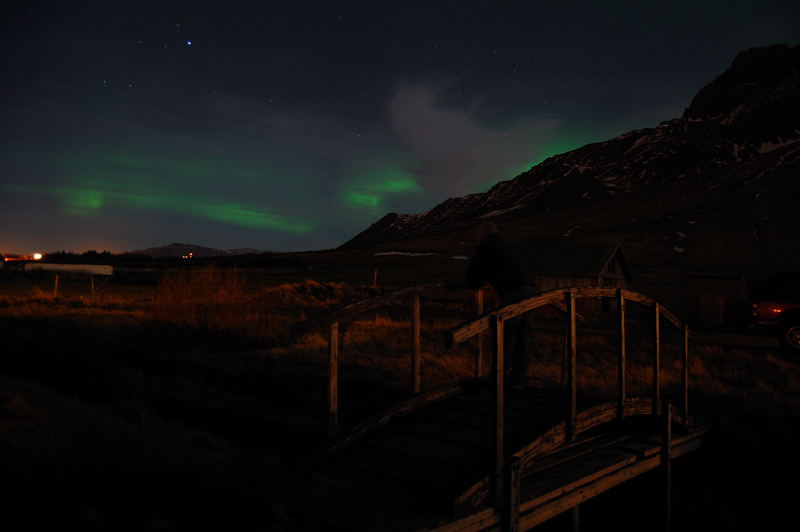 Say goodbye to the midnight sun and hello to the midnight moon. 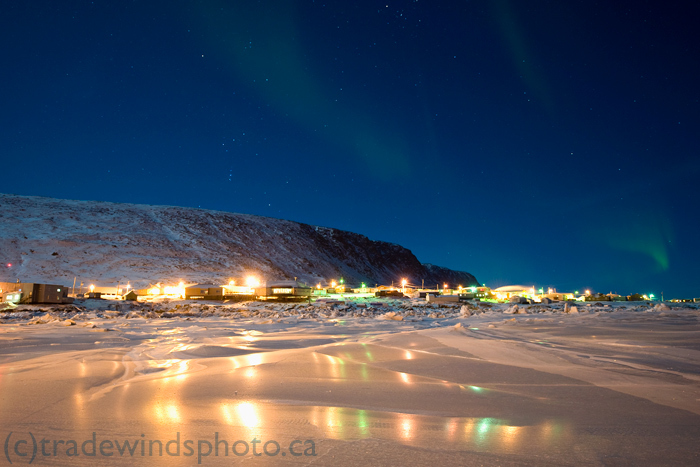 The long dark arctic nights and days many of us here in Canada's Arctic are enduring do not necessarily bring with them gloom. 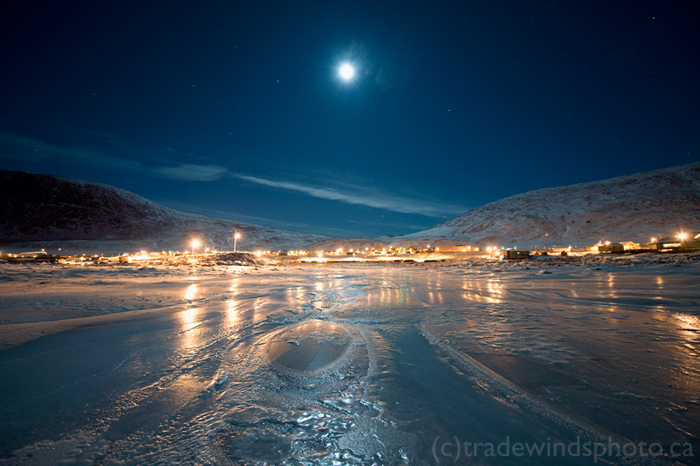 Take for example last night when the moon cast its warm glow over the Baffin Island community of Pangnirtung. 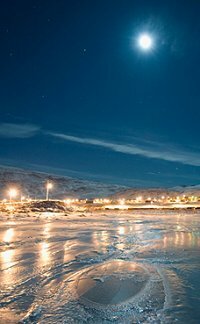 The combination of newly formed sea ice and lack of snow created for some stellar photo opps as the ice reflected the lights from the town and moon. Not a bad night to be out despite the -26o C temperatures! 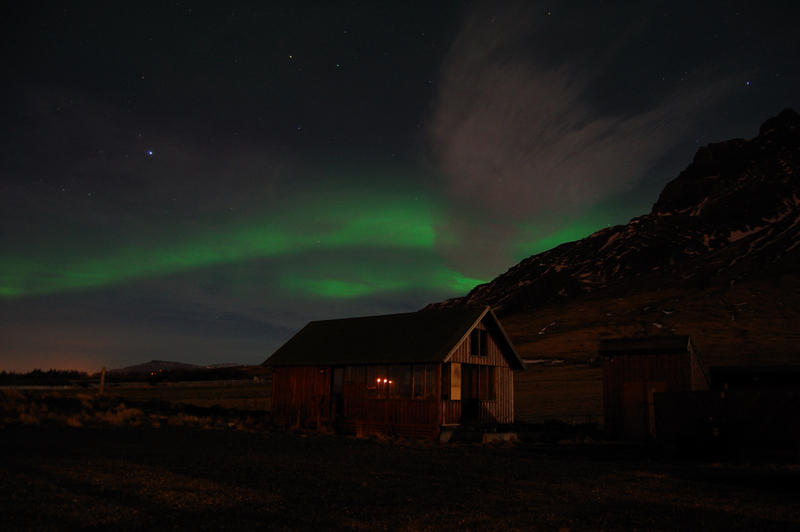 The auroras were visible from about 7 pm until midnight and swept out an arc that covered ~30% of the sky. 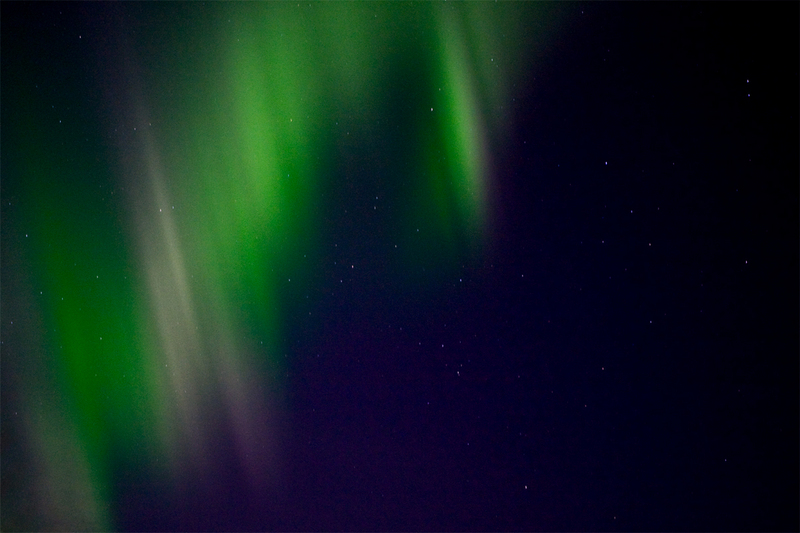 At times, very nice curtains were visible. Unfortunately I could not stray far from home so I was pinned to my balcony. 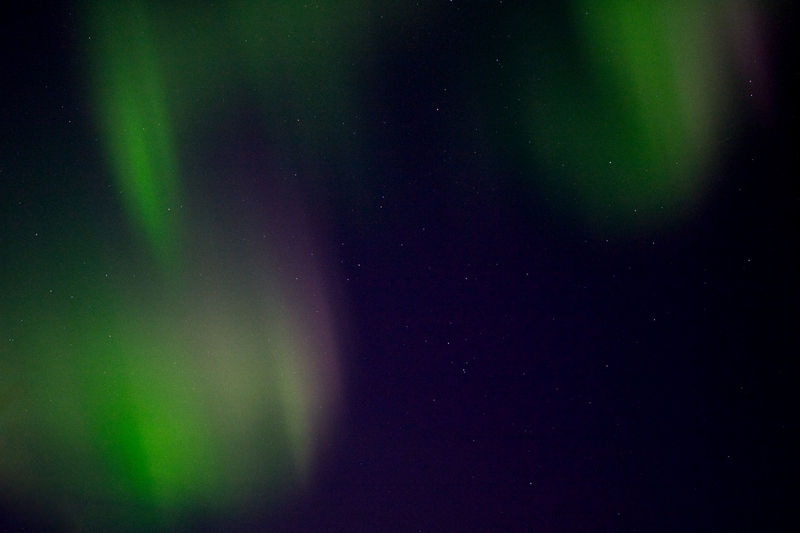 Photo details: Canon 5D, EF 70-200 f/2.8L at 200 mm, ISO-1600, ~1s exposure at f/2.8.